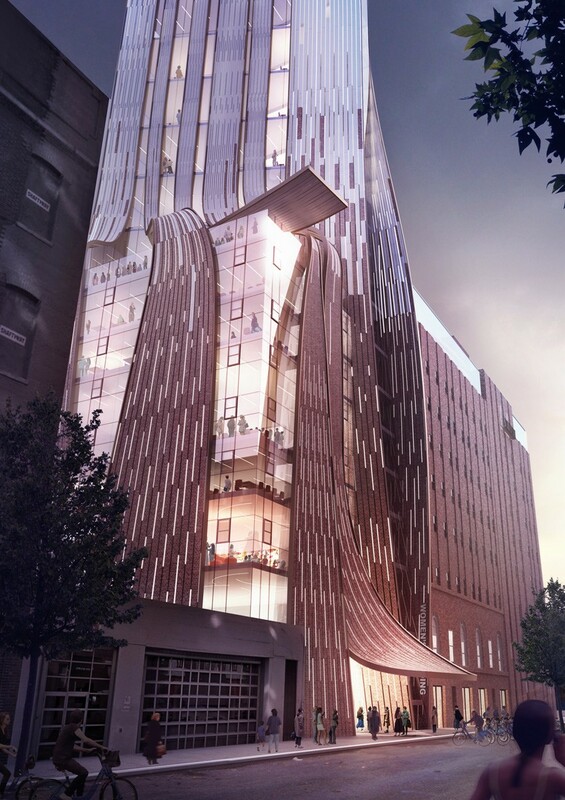 a competition in new york has been launched with a brief to realize a transformation of a former women’s detention facility into a pioneering center for the global girls’ and women’s rights movement, to be architecturally designed and built by females. 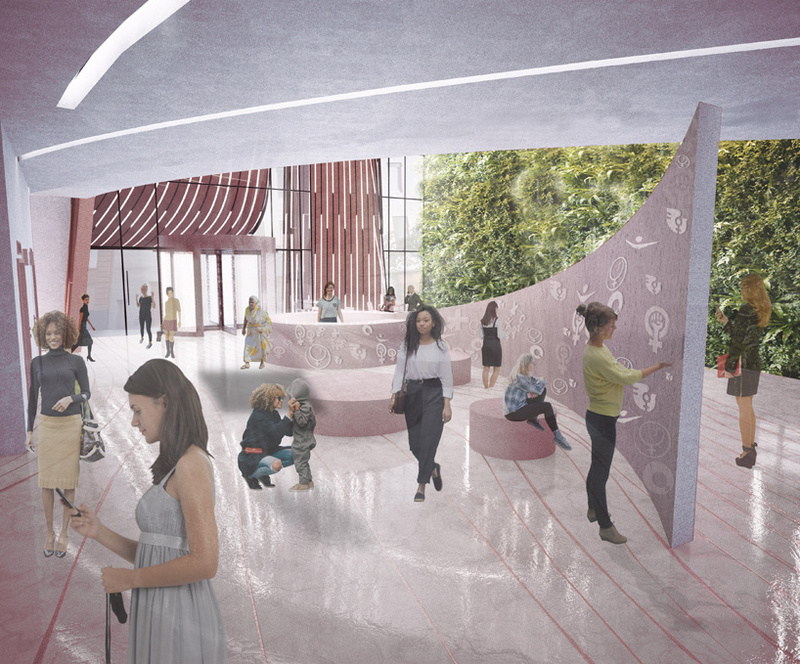 the novo foundation commissioned the project to create a supportive space for women from underrepresented communities and a collaborative space for activists from around the world. 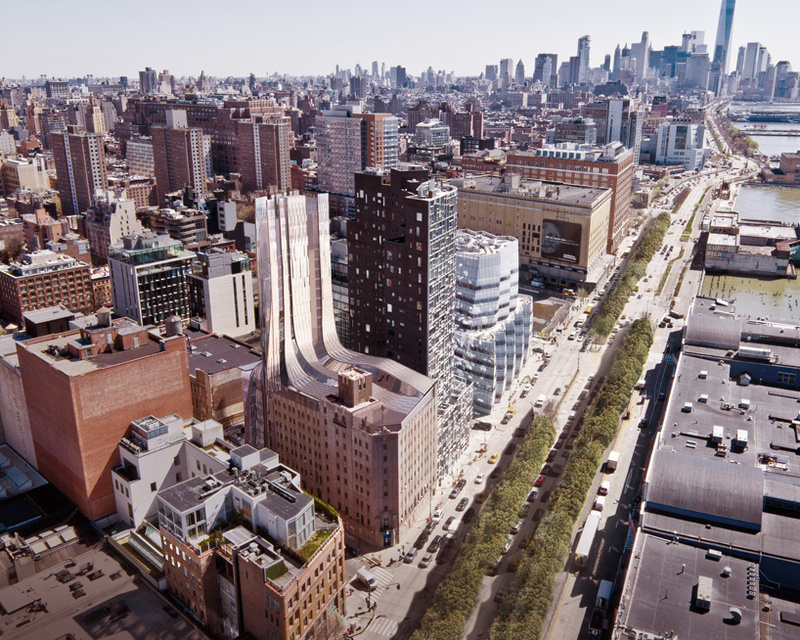 new-york based devi group consisting of architects suchi reddy and damyanti radheshwar of reddymade design have been shortlisted for the women’s building international design competition launched by the novo foundation and goren group. with this task, reddy and radheshwar have conceived the tower as a beacon in the skyline that rises to announce its foremost mission: collaboration. 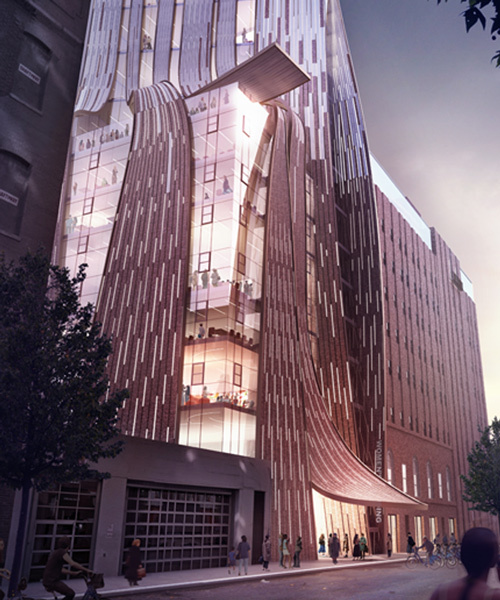 symbolizing the right of women to occupy their space in the world, the concept for the new building embraces the existing in ribbons of concrete and heat sensitive glass that flow together and emphasize notions of collaboration, transformation and power. 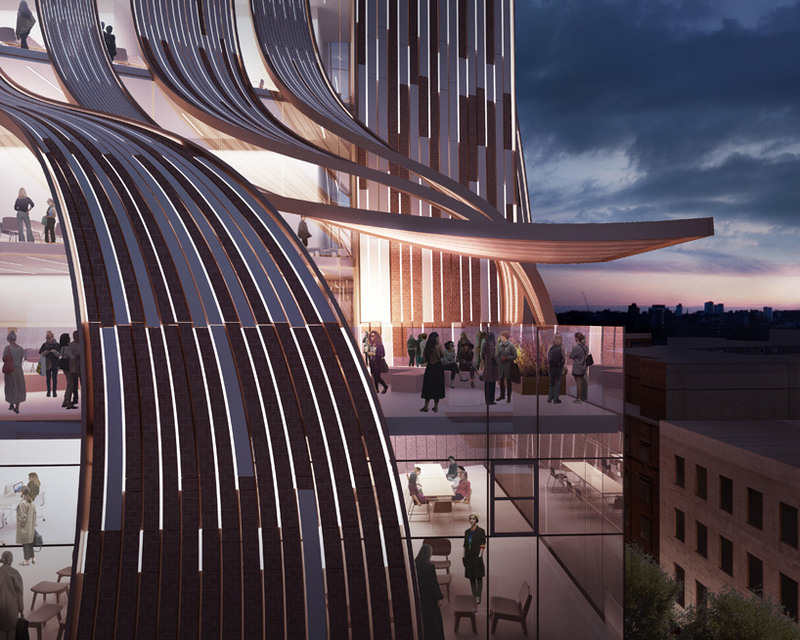 the women’s building envelops the existing with its envelope creating an enclosed auditorium and event space on the upper floors. 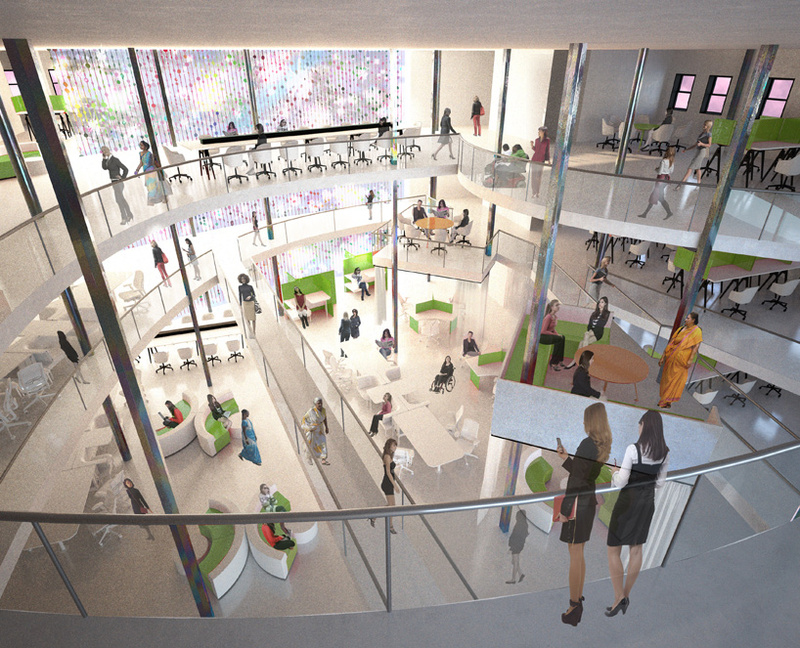 the heart of the project is the collaborative not-­for-­profit atrium style space expanding through three floors of the existing building. 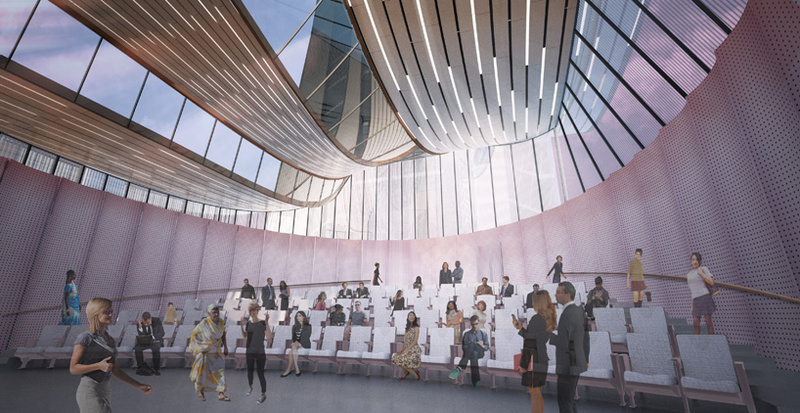 this space is illuminated by a three-­storey installation of surfaces that will bring light from the roof into the depths of the building and will be built and installed by girls and women from diverse backgrounds. 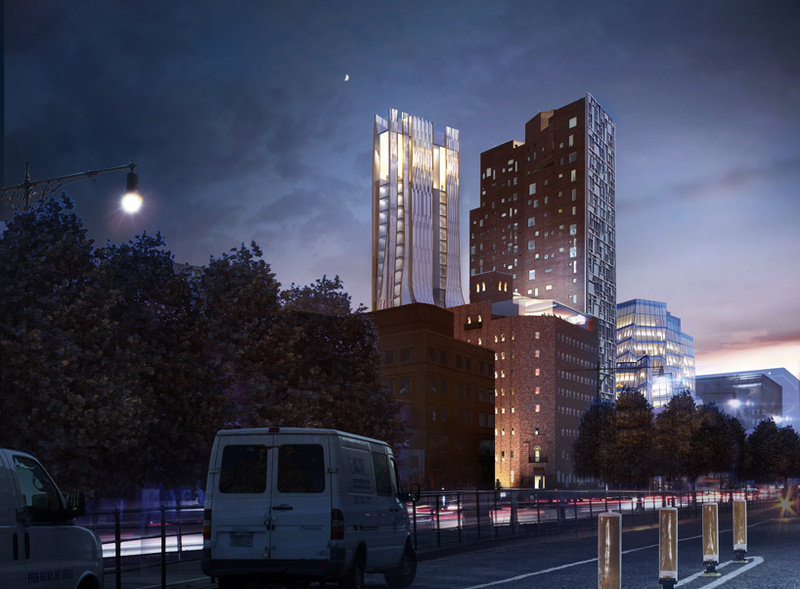 in addition, the complex will also accommodate spaces for a health center, child-care services, galleries and a restaurant while the new tower overlooking the river and the city, will house a rental office space for small companies or businesses in art and culture supporting the women’s building.